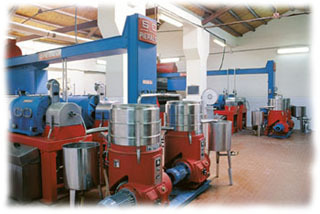 The olive oil-maker GABRIELE PIETRO Company, founded by the same owner in 1949 in Sicily, in Valderice county -province of Trapani-, has been directed since the origin personally by his founder, Mr. Pietro Gabriele, supported from over 30 years by his son, Mr. Alberto Gabriele. 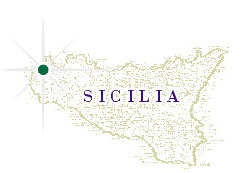 The Sicily island is one of the two regions in Italy for the production of the best olive oil, and it boasts of the acknowledge among the best olive oils of the world, above all on those of the western territory, where the Gabriele Pietro Company is established. Half century of direct experience in the selection and the crushing of the best Nocellara and Biancolilla olives varieties of western Sicily has been decisive for the attainment of the exceptional Extra Virgin Olive Oil quality produced by the Company. The knowledge of good olives characteristics, the best moment for harvest -exclusively hand-made from the trees, still green-, the crushing the same day with a continuous cold cycle and the immediate depot into stainless steel vacuum tanks contribute to obtain an Extra Virgin Olive Oil with exceptional characteristics of density, decise taste, fruited scent and lighter colour. The business philosophy is directed to obtain the maximum quality, that nothing doesn't grant to compromises neither to improvisation. It has been appreciated by the oil operators, which require the whole annual production of every year first the oil campaign start. This certainty has allowed the continuous technology investment and the rigorous cultivations qualitative control by own olive-groves -approx. 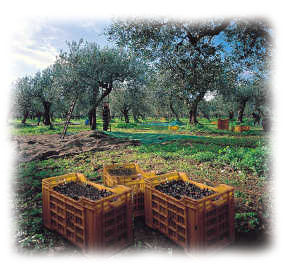 20 % of crushed olives -that of those of the growers of trust. 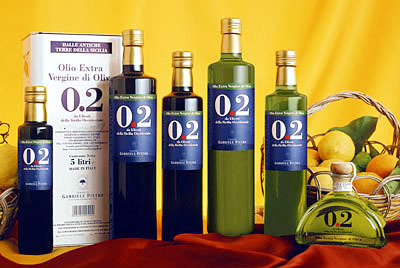 With the Mr. Alberto Gabriele new direction, the Company want reply to the grower demand of Extra Virgin Olive Oil from the international markets. So, we has been planned a first line of products by 0.25 - 0.50 and 0.75 liters bottles and metal can of 1, 3 and 5 litres with a new conception, that has found an immediate success since the presentation, for qualitative characteristics, design, competitive cost and marketing support. The decision of not sell own products in Italy has been made necessary by the attentions requires by the foreign customers, and by the limited quantities produced, approx. 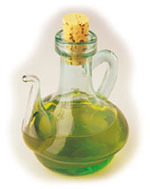 25 annual tons of high quality Extra Virgin Olive Oil.